The Sugar Bear and Sunset Cove have hot tubs, wood burning fireplaces, outdoor fire rings, central air, dvd/vhs player (bring your own movies), large decks, full linens and towels, iron and ironing board and much more. 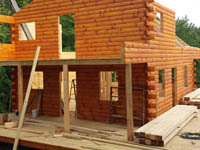 Our cabins have everything you need for that much deserved, relaxing vacation. Stay Fri/Sat get Sun 50% off Discount - Save 50% ! Stay 4nights get 10% off Discount - Save 10% ! Now thru 1/1/2020. Available when you stay 4 or more nights. Discount applies any night of the week. The 1st night of visit must begin on Monday, Tuesday, Wednesday, Thursday, Friday, Saturday. "Our everyday discount special is ... STAY 4 NIGHTS GET 10% OFF YOUR ENTIRE STAY!!" 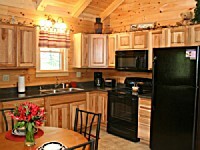 A one room cabin perfect for that romantic getaway It is fully furnished with linens, towels, and kitchen items. 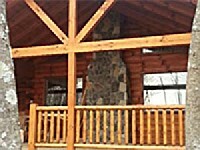 There is a queen size bed , comfy couch, hot tub, inside wood burning fire place, and gas grill.